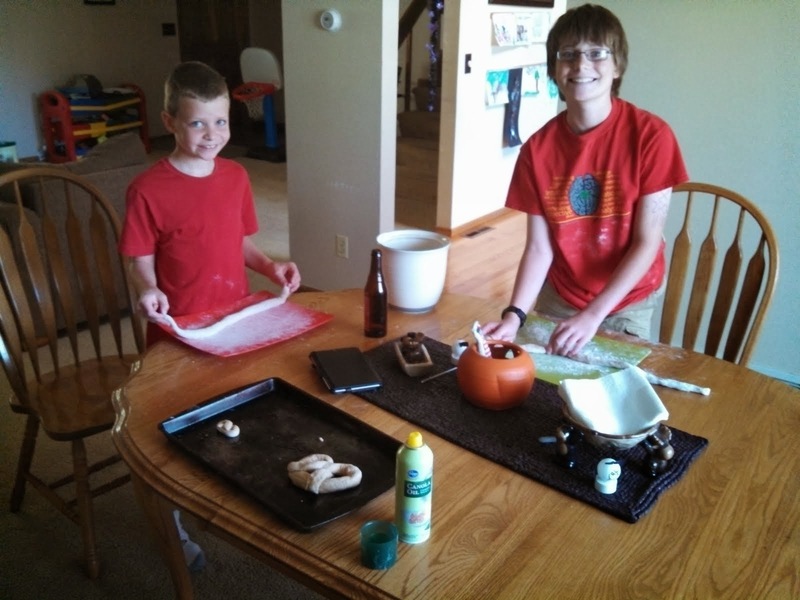 My boys and I made big soft pretzels Sunday. They turned out awesome. They are a little different than your typical soft pretzel in that they use a significant amount of whole wheat flour and honey. They are really really tasty in my humble opinion. 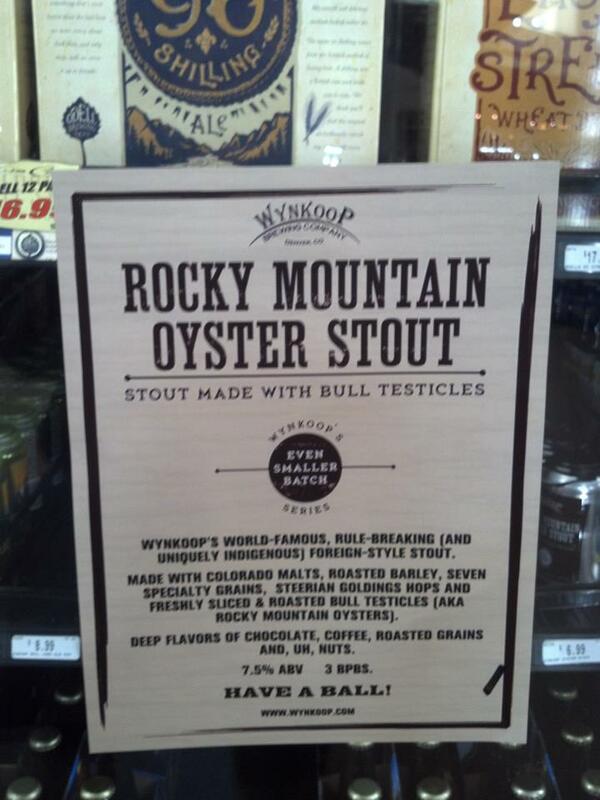 They pair really well with SheppyBrew's Weizened Doonkle. Have you been watching Brew Dogs? I have, and I really enjoy the show. The fact that I like it means it probably will not last very long, so you should probably watch it now before it gets cancelled. The show is about James and Martin from BrewDog Brewery. You know ... of the famed End of History 55% ABV beer. James and Martin travel across the United States exploring craft beer towns. 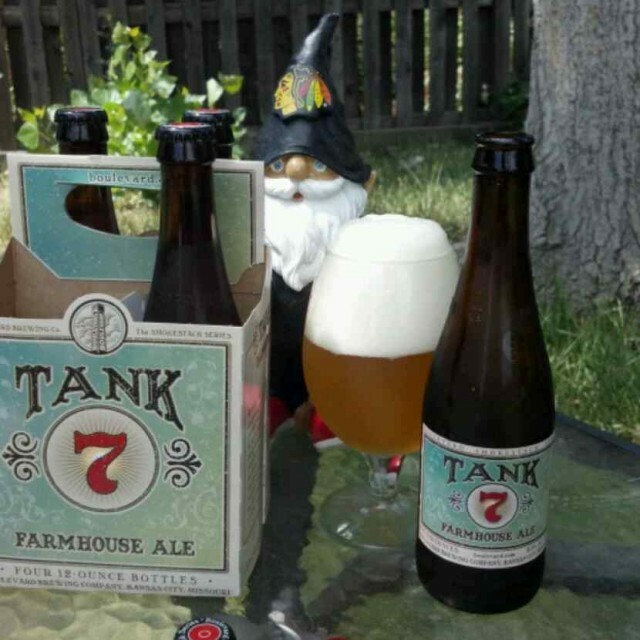 In every episode, they meet up with one iconic brewer and work on brewing a beer that uses local ingredients that capture the essence of the area they are in. If you are a craft beer geek ... especially a home-brewer, I don't think you can help but like this show. Before the weekend, I actually had not been planning on brewing. However, as I mentioned, I killed the keg of She Who Must Be Obeyed Wheat. 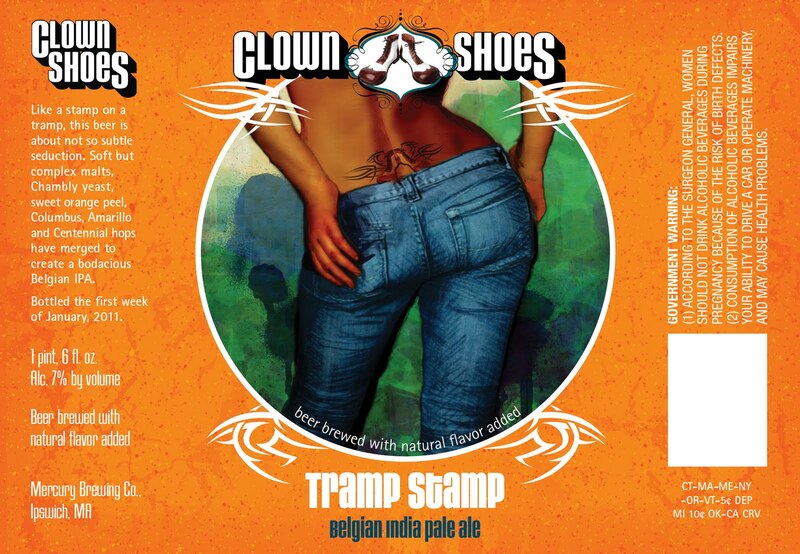 This left the beer choices for the Beer Model sort of limited in the SheppyBrew Brewery. Apparently, I've been giving away too much beer lately. My keg of Sloth Man English Mild is also getting low. So, anyway, Saturday I decided to go to my Local Homebrew Shop and buy ingredients to make Boo Berry American Wheat. The Beer Model wanted to go too, so we packed ourselves and the Brewing Assistants (aka our kids) into the mini van and headed over to the shop. This is the shop that is closer to my home. I usually get my grains from the Homebrew Shop that is closer to my place of work, so I am not quite as familiar with the layout of this one. The kids .... er ... I mean the Brewing Assistants helped me find and scoop grain. They also helped me decide which wheat malt and 2 row malt to use. It was sort of fun for them apparently. They actually had a little argument over who was scooping more of the grain. Sometimes those kids fight over the stupidest things. 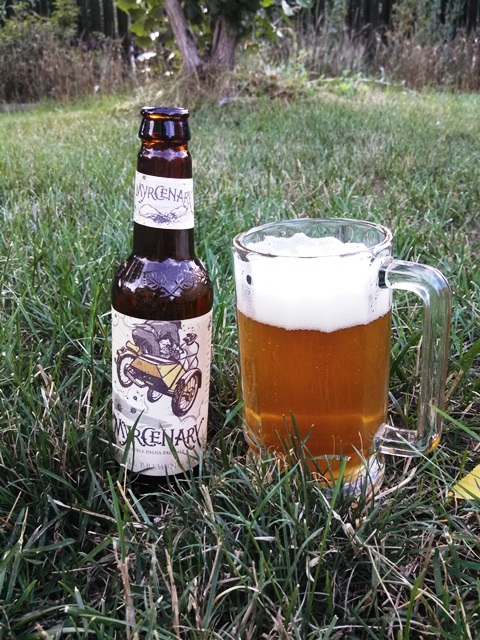 Last night, I killed the keg of She Who Must Be Obeyed Wheat. It sort of surprised me as it didn't seem that it had been around very long. As I look back at the bottling date, though, it was in existence for almost a month and a half. This was a beer that both the Beer Model and I liked. It was sort of Buckwheat's BPA meets Summer Lovin' Wheat. The flavor profile was really unique. It's ester profile along with the malt bill came across a bit nutty. I actually tasted a nice bit of almond, which to me was really pleasant. When both the Beer Model and I like a beer, it generally doesn't last that long, so it should not surprise me that the keg died last night. 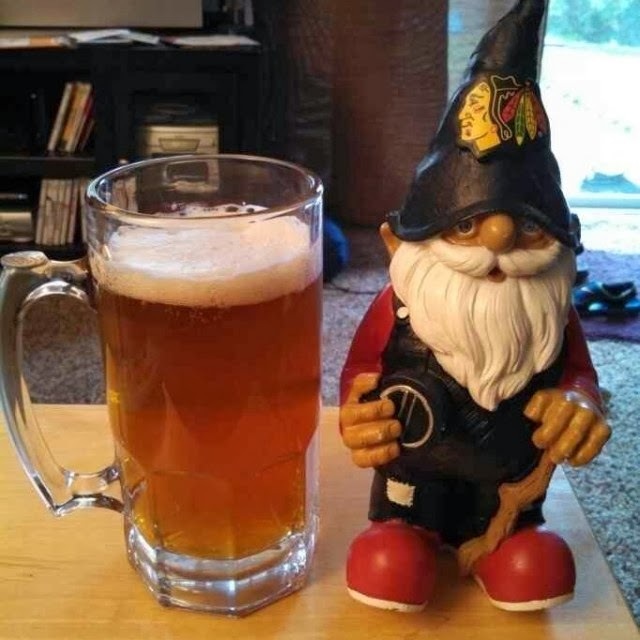 I am absolutely going to have to brew this one again. As you may know if you've been following this blog long enough, I've been reporting on the untappd badges I earn. I can't imagine why you would want to, but you can look at all the posts (including this one) by going to the "untappd" label on this blog. So, you know the SheppyBrew Beer Model and I attended GABF this weekend. 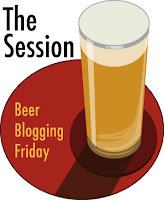 See 2013 #GABF Friday Night and 2013 #GABF Members Session if you want to read about it. I didn't really get much of a chance Saturday or Sunday to look through the competition winners. Now that I have looked through, I have some thoughts. Fair warning ... 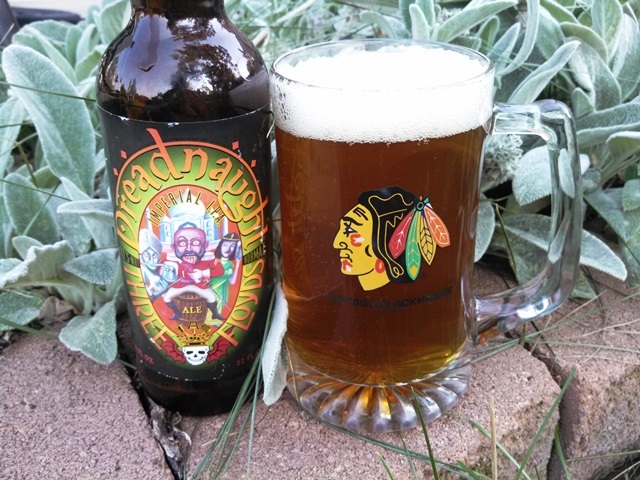 I'm a bit of a "homer" when it comes to my favorite breweries. I actually make an effort to stay away from local breweries at the festival, because I want to try beers that I might not get as much a chance to otherwise. However, I still am a fan of Drinking Locally. I survived my first night of GABF. 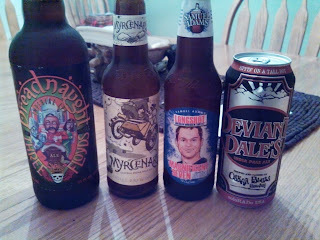 Not only did I survive, but I think I did pretty well in regards to My Friday Night #GABF Plan. Surprisingly, my wife (aka the SheppyBrew Beer Model) agreed to go separately to the Convention Center. She dropped off the kids and I got into the festival line before the place opened. Now I owe her one. I think this is actually the first time I got into line before the doors opened. I got sort of antsy not moving. I think it is better just to get there after the line starts to move. You get in a little later, but you don't have to wait as much. This was not part of the original plan, but my first stop was AC Golden. I know that being owned by Coors, they are not technically considered a Craft Brewery but I like their beers generally and I keep hearing about how wonderful their sours are. There, I had American Wild Ale, which I thought was a fantastic sour ale; Peche, which was a great peach flavored sour; and their IPL, which was also awesome. I also hit Asher Brewing Company, which was right there. 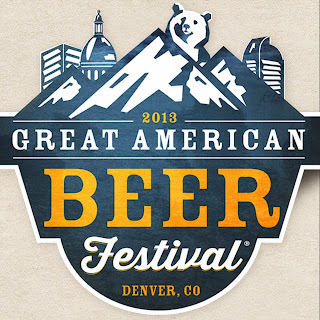 Soon after I posted, "#GABF Week (I've been slacking)", I got an email from GABF telling me that all the beers are available on their website and on their iPhone and Android apps. Awesome. One thing that drives me crazy every year is that I never know what beers are going to be at the festival until after I get there Thursday night. Of course, it figures that the one year I don't go Thursday they get those announced before the first session, but I'm not going to complain (much). It still would be nice to get the list of beers (or at least most of them) a little earlier, but at least they are moving in the right direction. So, now that I know what beers are going to be there, it is easier to start to formulate a game plan. 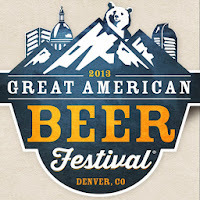 It seems like all the beer blogger in the world (or at least those that show up in my rss feed) have been busy blogging about the Great American Beer Fest and/or the tons of events in and around Denver this week. 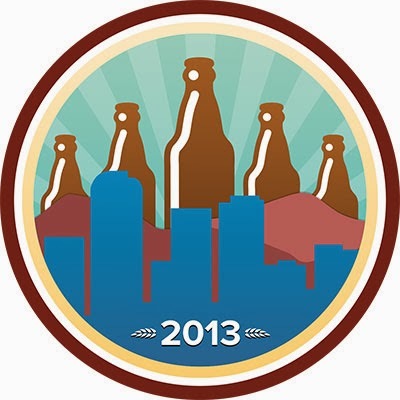 Take a look at Denver off the Wagon's beer category and see how many GABF related articles you see. Go ahead ... I'll wait. 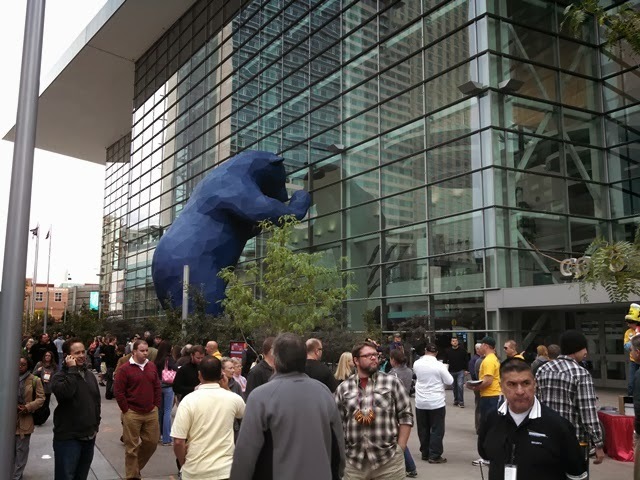 Check out the Denver Post's First Drafts blog and browse through the amazing collection of "Scouting GABF 2013" articles. Again .. Go ahead ... I'll wait. Go peruse Brewtally Insane for Mark's day-by-day GABF Calendar. It seems like the guys at The Full Pint have been providing useful GABF information for the past couple months, and certainly have not slowed down now that GABF week is here. Of course, my buddy Dave at Fermentedly Challenged always has Denver area information, which by default means GABF information this week. 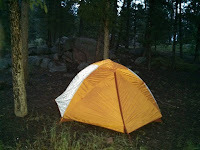 I could go on and on, but my slacking attitude prevents me from listing much more in this post. Well, you know I've been working on this SheppyBrew Styles project, right? At the beginning of the year, I decided I was going to try to brew beers in all the BJCP Categories that I had not brewed before. If you follow this blog regularly at all, you know I am close to getting this done. Sunday was time brew something in 15. German Wheat and Rye Beer. The problem with this particular category is that I am generally not a fan of the German Wheat and Rye Beers that I have had. I've had some HefeWeizens that have been good, but usually they have too much of the phenolic clove flavor for me. 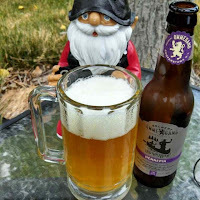 I've had one or two Roggenbiers, and really didn't like them enough to want to have to drink 5 gallons of that. I don't think I've even ever had a Dunkelweizen or a Weizenbock. Just bringing myself to brew something I was unfamiliar with was a bit scarey. One of my favorite parts of the Great American Beer Festival is all the crazy costumes that people wear. 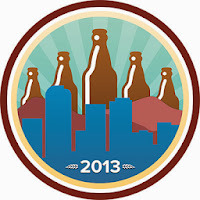 Of course you can see a bunch of them on the photos page of the GABF website. I did a google image search the other day. Some of them were even ones from this blog. Following are some of my favorite pictures that others have shared. I think the most exciting news in Q3 is that SheppyBrew won another award. Helles in a Hand Bock-sket, my Maibock, won a blue ribbon and got 2nd in the Best of Show in the "Battle of the Homebrews" at the Arapahoe Country Fair. 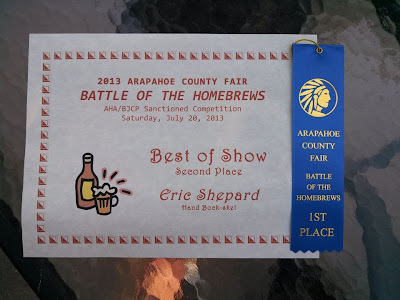 A county fair 1st place isn't nearly as prestigious as Sasquatch Hunter's blue ribbon in the Denver Region of the National Homebrew Competition, but it is still an award. Plus, getting 1st Loser in the Best of Show is awesome (if I do say so myself). Well, until about 3 days ago, I thought September had an excellent chance of beating August for this blog's all-time page view record. The past 4 days have seen pathetically little traffic, though. I'll have to live with the 3rd all-time behind August and March. It is my own fault, of course. I've only published 2 posts in the last two weeks. I have not really been "feeling" motivated to sit down and blog much. Regardless ... no one really cares. Heck, I don't even care. A few weeks ago, I was rewarded with 4 Rockies Tickets. I know ... seems more like a punishment, right? The game was this past Sunday. My kids didn't want to go to the game and I didn't feel like forcing them. 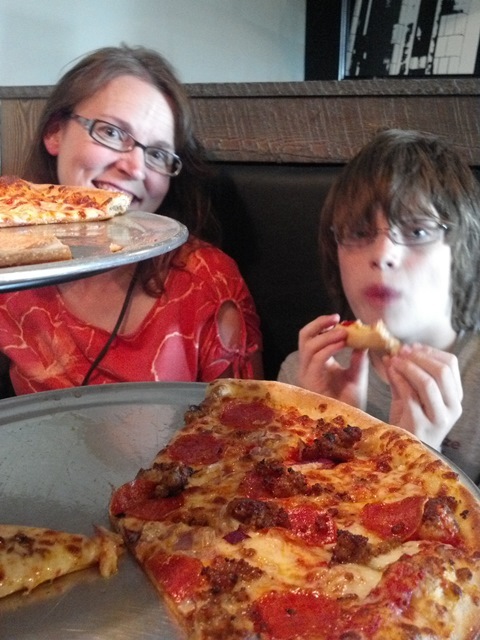 My wife didn't think we should leave them at home alone. Plus, we had a church thing that at least some us of should be at. But, as I was going to be without children, I figured I might as well head downtown early and hit a couple of the breweries by Coors Field. What better way is there to prepare for a game than to sample some Denver Beers? 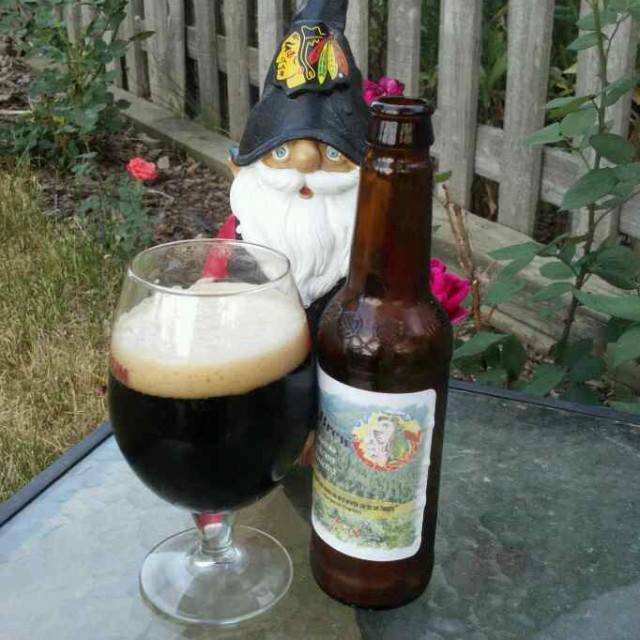 Every year since I started home-brewing, I have brewed a special X-Mas ale for the holidays. 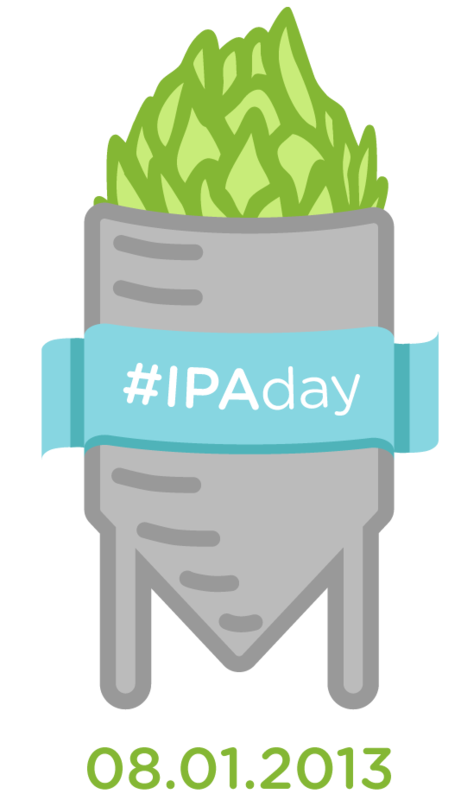 Each year, the recipe is different, but so far it has always been pretty dark, malty, and fairly high in alcohol. Each has had special holiday flavoring. Each year, I try to save 6 (or so) bottles to age and taste them together in the years to come. My 2009 beer is gone, but I have 4 of 2010, 5 of 2011, and 6 of 2012 ready for these vertical tastings. You can read quite a bit about these X-Mas Ales (including this post) by looking at Sheppy's Blog: X-Mas Ales. Have you seen this Travel Bug? He is missing already. 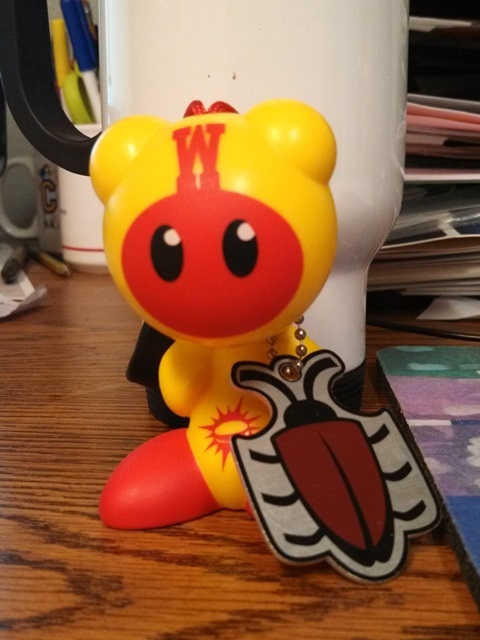 If you have him, or know where he is, or even have some idea where he might be, leave a comment on this blog post. Better yet, do it on his geocache page, Guacamole. Better yet, if you have him .... LOG HIM! My boys ... especially Little Brother have been working on making a geocache to hide. Do you know what a geocache is? If you follow this blog on a regular basis, you have probably noticed our renewed interest in geocaching (see Sheppy's Blog: Geocache), and probably have either figured it out or don't really care. If not, it is basically a global hide-and-seek game using GPS coordinates. If you are interested in learning more, take a few minutes and check out "Geocaching in 2 Minutes" and / or "Geocaching 101". Go ahead ... I'll wait. So, anyway, we have been FINDING geocaches since November 2008. This is our first attempt to hide a geocache. My youngest pretty much took the lead on this one. He found the container, and convinced Mommy to empty it of its previous contents. He talked his dad into taking him to the store and buying Camo duct tape (weird that we didn't have any already ... right?). He applied the tape, found a log book, assembled the contents, and coordinated getting a little information sheet about geocaching printed out and laminated to put in the cache. 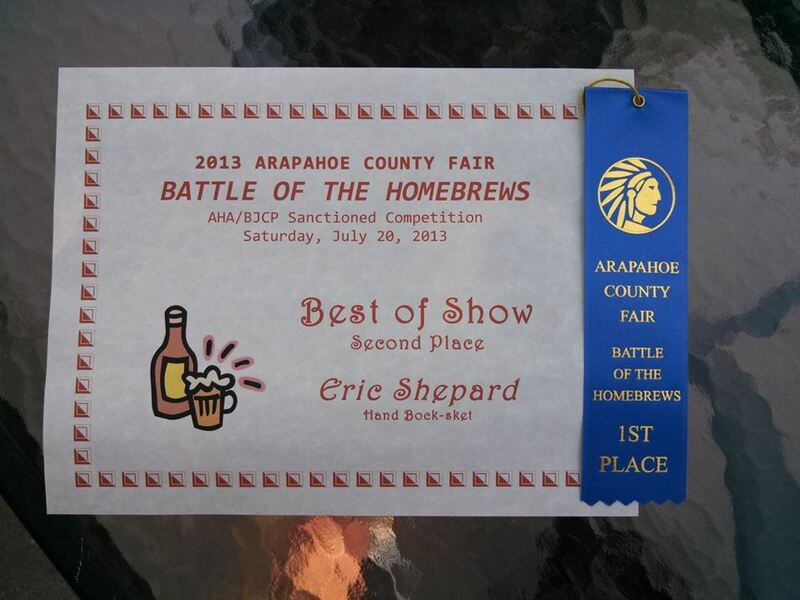 This past weekend I brewed the next beer in my BJCP Category Project (see SheppyBrew Styles). 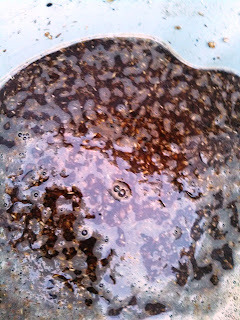 This one was Category 11 — English Brown Ale, and I decided to brew an English Mild (11A) to satisfy this category. As always, you can see the recipe on the Sheppy Brew website. See Sloth Man English Mild. I went low alcohol on this one. 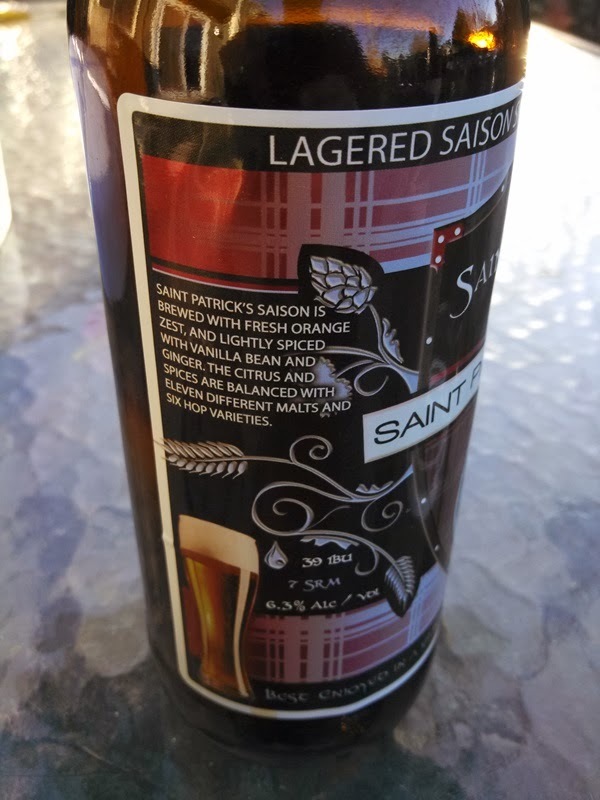 It should be a 3.7% ABV beer with lots of rich English caramel and biscuity flavors. It is sort of a toned down Gnasty the Gnome ESB, which coincidentally disappeared recently. I got started pretty early on Sunday. I had some non-beer related issues I ended up having to deal with, though so I didn't really get the mash going until well after 6AM. The GABF is less than a month away. Aren't you excited? I am. I got an email from the Great American Beer Festival (actually a guy from the Brewer Association named "Spencer", pretending his name was "Great American Beer Festival"). 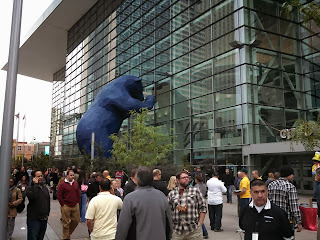 The email announced that the GABF Beer & Food Pavilion Schedule was out. It is very possible that it has been out for quite awhile, but this is the first I have looked at it. You can see at the GABF Event Schedule along with what is going on at the "Brewers Studio Pavilion" and other GABF events. You see, GABF is not just about drinking beer. If you are a beer geek (even if you are not) you can attend presentations. When we went to South Dakota last month, we met my wife's sisters and their families about mid-way through the week. They all live in Illinois, and knowing that they had better access to 3 Floyd's Brewing company, I asked them to try to pick up some Zombie Dust. Zombie dust is one of the beers on the Zymurgy's 2013 Best Beers in America list that I am trying to drink my way through. My brother in law made a heroic effort, but apparently, they don't live quite close enough to the Chicago Land area to get 3 Floyd's beers by them. 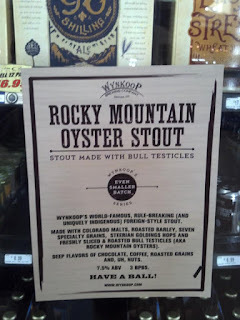 He even made a road trip to a good craft beer store in attempts to pick some up. August had more pages views on this blog than March 2013 did. It was not by much, but this makes August the new record holder. Aren't you excited? Ok. I know you're not.